Description: This is the template for the back of the custom cards (same template for all products). Description: Fill out this template, save it, and email it to us for custom bottle cards (free for orders over 500). 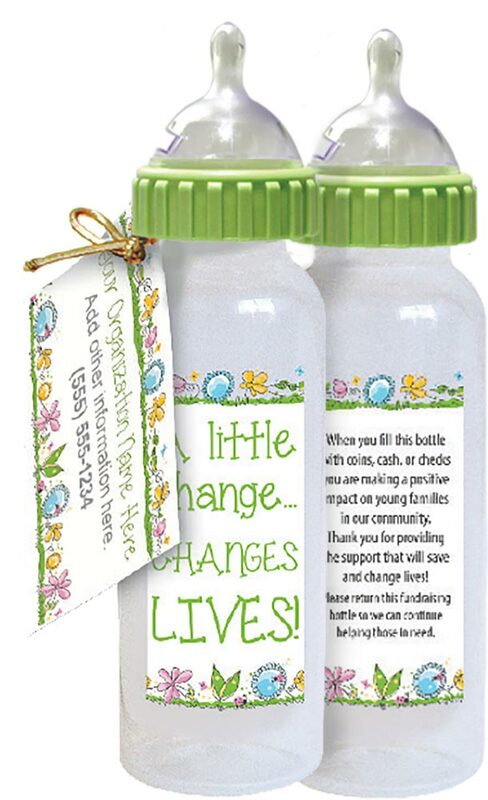 These baby bottles are designed to serve as fundraisers for any pro-life group, club, church, or organization. The Baby Bottle Fundraiser is perfect for all pro-life groups who want to raise a significant amount in donations with a minimal amount of work and start-up capital. All bottles come with free cards and gold pre-tied ribbons that easily attach to the bottle. Get the cards custom printed with your group's information for FREE when you purchase480 or more bottles (cards must be of a single custom design). 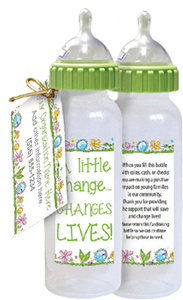 Bottles are eight ounces and six inches tall and BPA FREE!